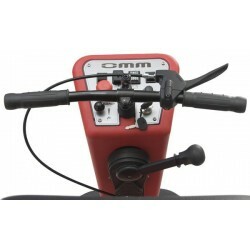 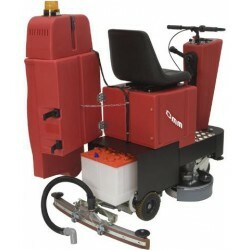 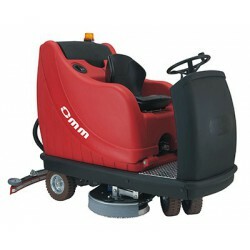 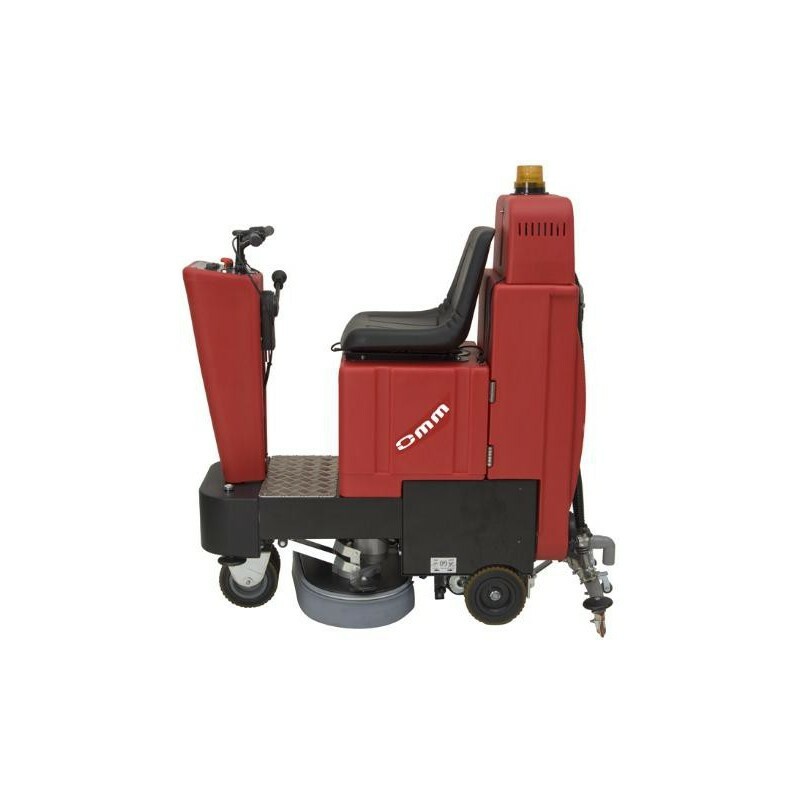 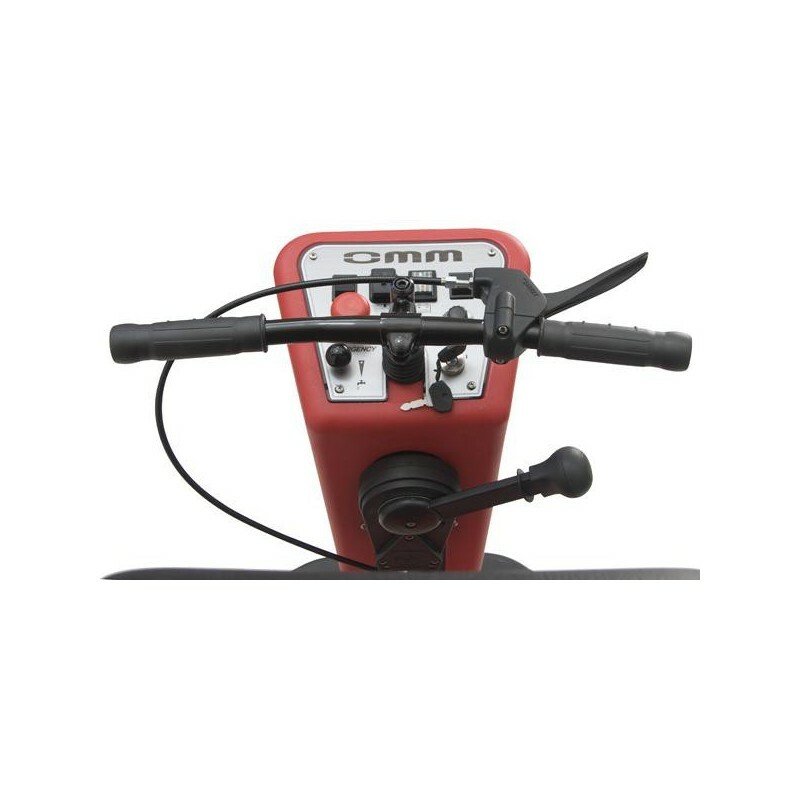 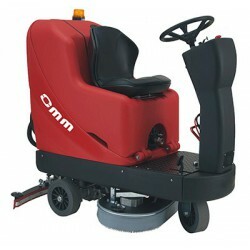 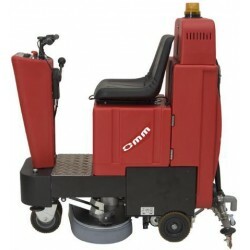 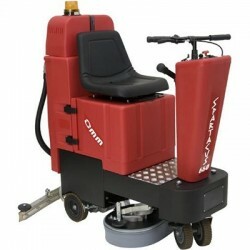 The OMM SPARTACUS-660 battery-powered ride on scrubber-dryer is a small-sized scrubber-dryer designed to clean medium surfaces with obstacles, corridors or narrow corridors. 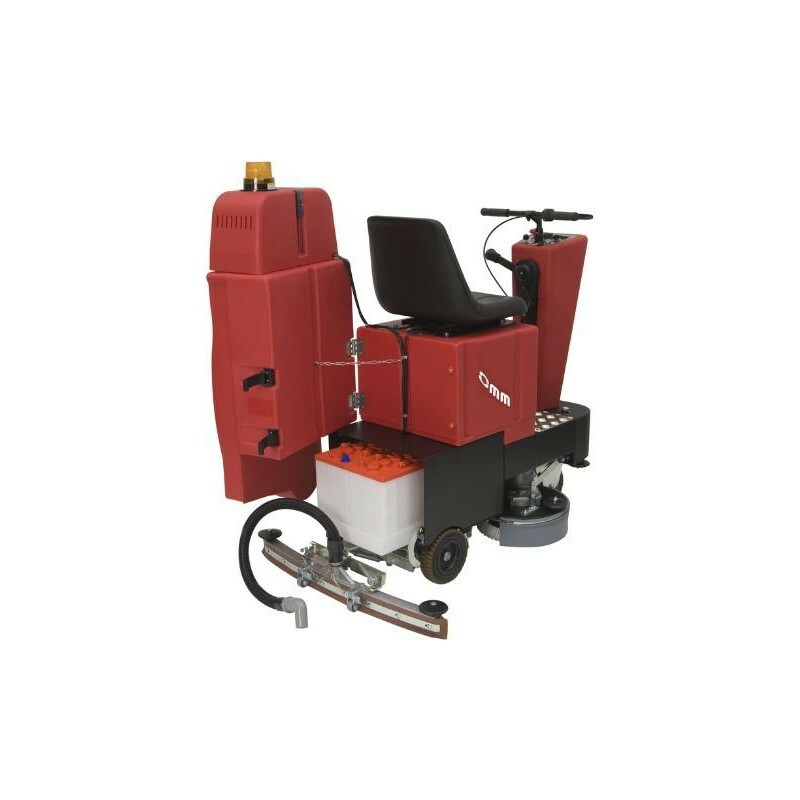 Just 60 centimetres wide, this machine is very hard-wearing and has a light weight, thanks to its galvanised steel chasis. 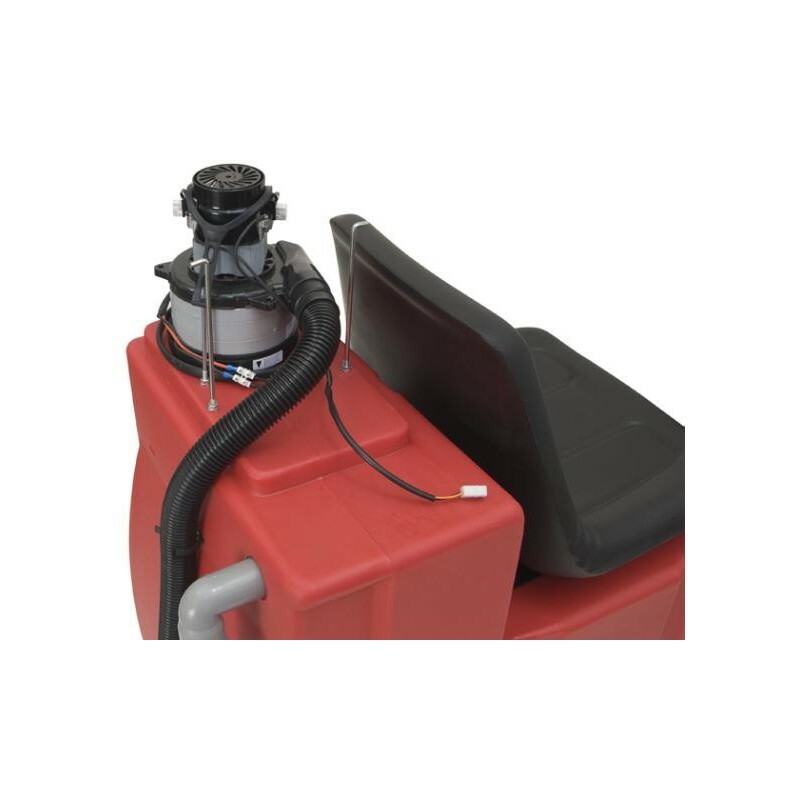 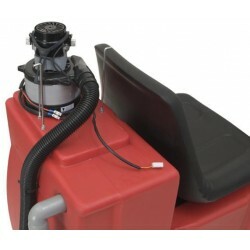 It has 70-litre polyethylene tanks for clean and dirty water that resist acid from the batteries and industrial detergents, as well as no-track and anti-slip polyurethane wheels. 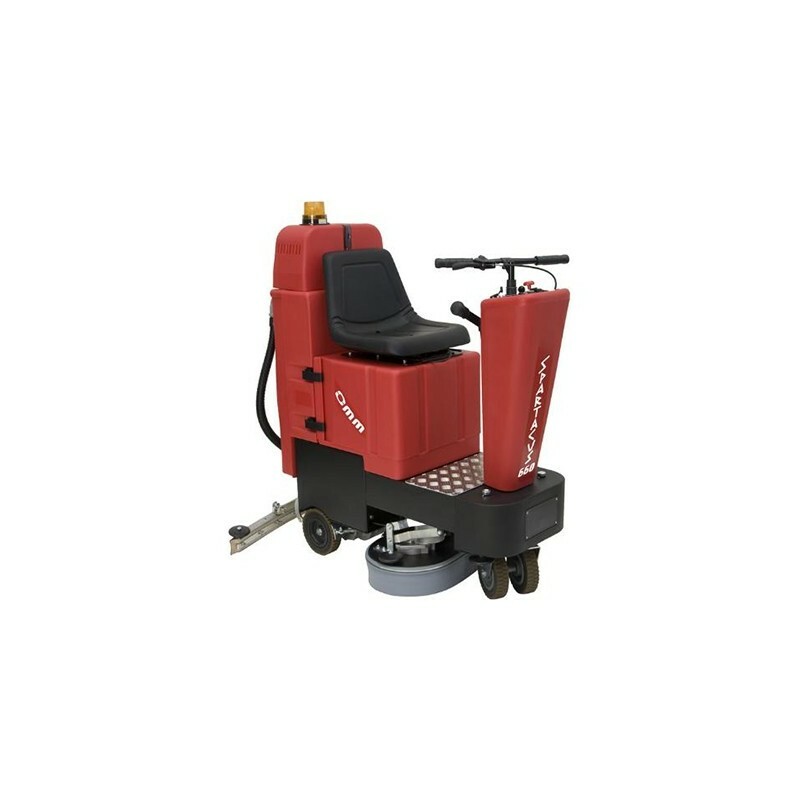 This battery-powered ride on scrubber-dryer has a moto-reducer with permanent lubrication, electric charger and no-maintenance gel batteries, by-pass vacuum motor, ergononomic controls, and a steel squeegee with the latest technology.